← The Light Between Oceans by M.L. Stedman Read-A-Long! Synopsis: When Ruby woke up on her tenth birthday, something about her had changed. Something frightening enough to make her parents lock her in the garage and call the police. Something that got her sent to Thurmond, a brutal government “rehabilitation camp.” She might have survived the mysterious disease that had killed most of America’s children, but she and the others emerged with something far worse: frightening abilities they could not control. Review: I read this book back in 2014 but I obviously didn’t have this blog going back then. I have recently completed the series and want to post a review but it seems silly to post a review on the last book and not the others so I am doing so now. I remember being really confused in the opening of this book. A lot was thrown at you in such a short time that it was hard to figure out what exactly was going on. At times I had to go back and re-read a few passages because it felt like a missed something. Also, I dug the “X-Men” vibes with these “mutant” children. Kudos. 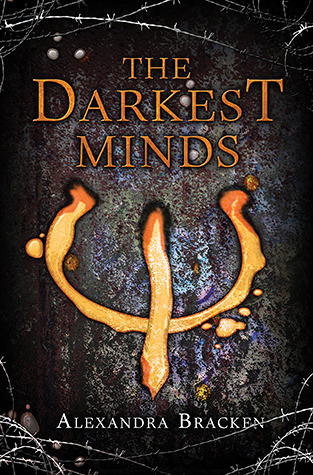 Who is your favourite character in The Darkest Minds? Comment below. I love this book! I agree though, it does start off a little slow. My favorite character is probably Chubs though Zu is super cute.